Dingo taking a small break from his patrol duties. Our dog Dingo only knows his own little world. He knows you can not mess with the cat (or the cat and humans will become angry) and he knows car rides can mean going to the cabin (HAPPY!) or going to the groomer of vet (SAD). Because this is what all the dogs on boats do. Keep an eye out. 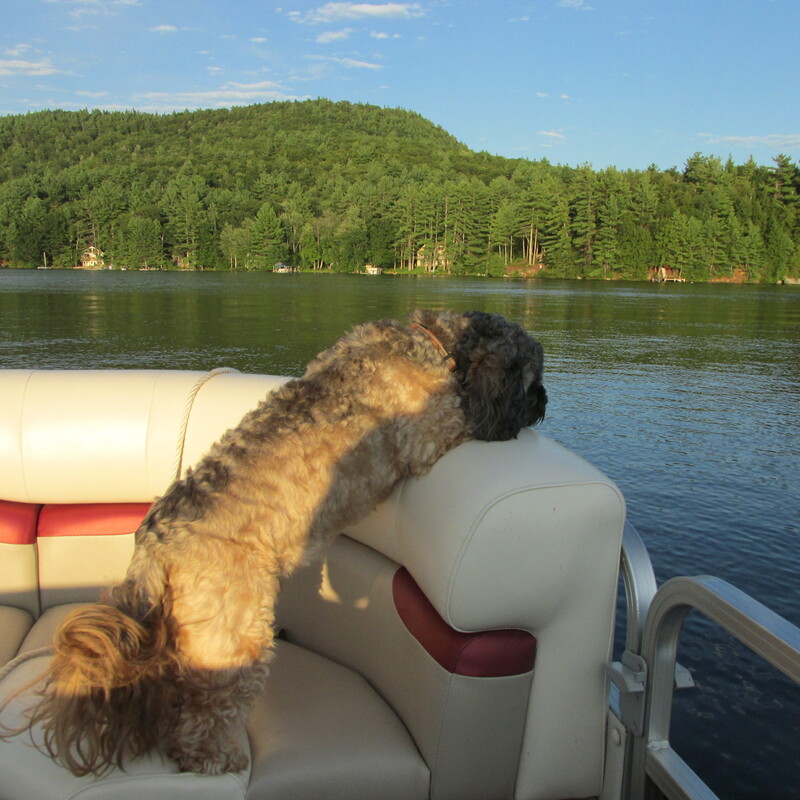 He also seems to think all dogs go on lake patrol. 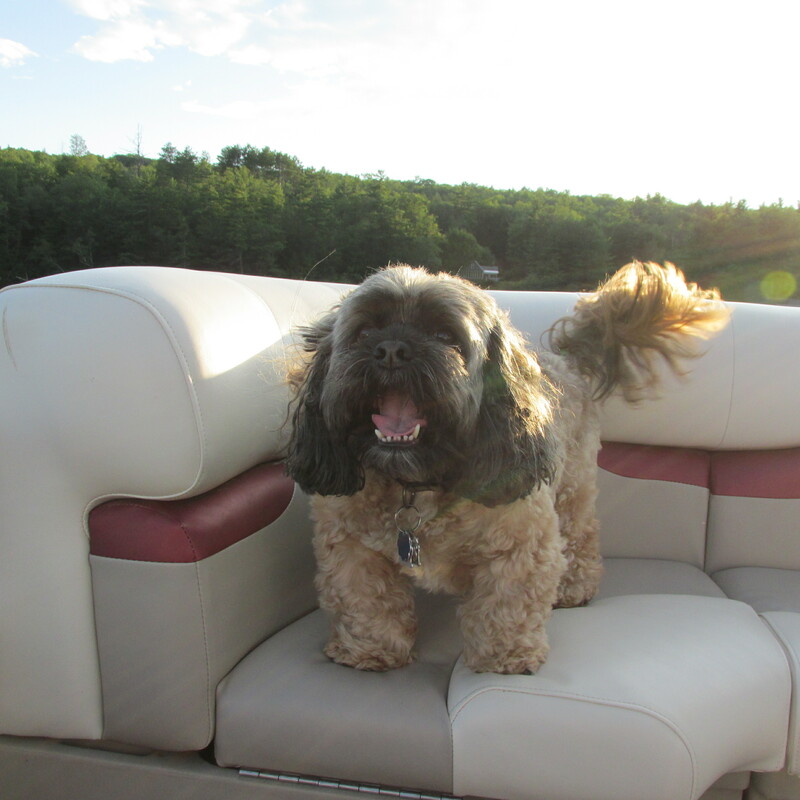 When we are out in the boat on the lake, he takes his patrol duties seriously. 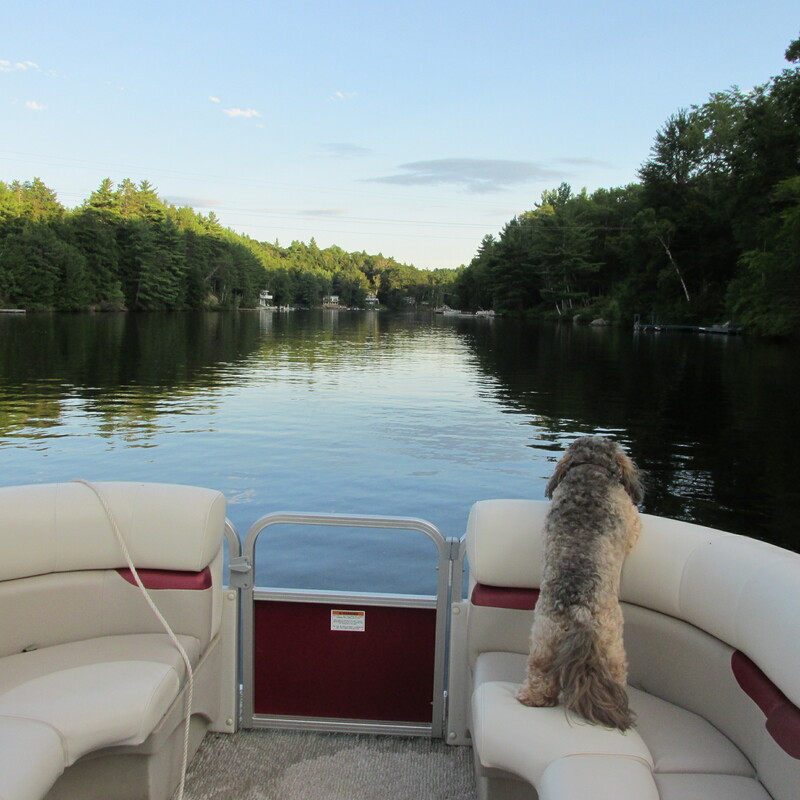 He keeps a sharp eye out, mainly for other boats (all of which seem to have a dog). Jet skis aren’t to be trusted. Other dogs are to wag your tail at, or to bark at if they bark first. Other than that, he pretty much just keeps an eye on things. Dingo especially enjoys going out in the early evening. It’s usually cooler, he’s not a fan of heat, and people are often using their grills. His nose will twitch and his head will turn in the direction of any enticing hamburger or steak smell. Part of me wonders what he would think if we pulled up on a dock, ran over to the grill and stole the burgers, brats and steak. I think Dingo would approve if we became meat pirates. On the look out, and sniff out, for MEAT! Here is a very boring video of Dingo just doing what he does. Also the second video is coming toward home, into the little cove and getting ready to dock at the cabin. 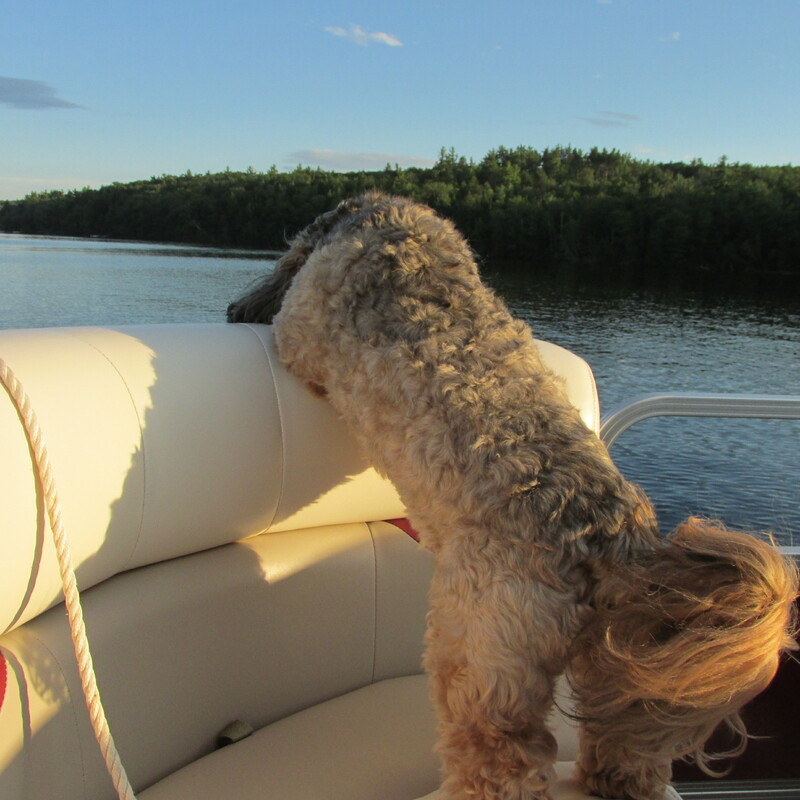 Farley, my wheaten terrier, is also a strong believer in lake patrol. I seems to be a very important role for dogs! Which does he like better, the new boat or the kayak?